The first step to teaching homeschool reading is to read aloud to your child. Reading aloud takes children to new worlds and conditions them to accept reading as pleasurable. It is one of the greatest factors in determining whether or not your child will become a good reader. Continue reading to your child even after he or she can read alone. Family read-alouds expose children to more advanced materials than they can read on their own. They also give you an opportunity to teach vocabulary, measure comprehension, discuss important issues and bond with your child. The Read-Aloud Handbook by Jim Trelease is a favorite among homeschoolers. It contains many helpful tips and suggestions for reading aloud to children. Decoding is learning to use phonics principles to sound out words. Fluency is learning to recognize words and read easily. Information moves beyond simply identifying words to obtaining information from them. The time spent in each stage will vary according to the child. Just as some children learn to walk at 8 months, many more at 12, and a some at 18 months, some kids read well at age 3, many more at age 7, and some as late as 10 or 12. Many late readers catch up with and surpass their peers if they are allowed to learn without pressure or condemnation. Be patient when listening to your child read aloud. Don't rush him when he sounds out words he read on a previous page or express frustration when he makes mistakes. Imagine yourself learning to read Chinese symbols. Might take some time, huh? Written words are like a new language for budding readers. Here are some tips for choosing a homeschool reading curriculum. With homeschool reading, you don't need a worksheet to tell you whether or not your child understands what she read. Talk to her child about what she has read. Ask, "What happened?" "How do you feel about it?" and "How did you expect the story to end?" Narration is a form of reading comprehension encouraged by Charlotte Mason. It is involves having the child retell a portion of a story orally or in writing. It gives the child a chance to tell what she knows, instead placing focus on what she doesn't know. Set aide time for reading aloud daily, such as at meal times, after dinner, during a younger child's naptime, or right before bed. Read with expression and let your child see you read for pleasure. Limit television, computer and video games, and provide your child with a supply of good books. Keep books and magazines within reach, and don't despair over bends or tears. Provide materials that hold your child's interest, such as magazines, joke books, comic books, word games and crossword puzzles. They may not be good literature, but they can encourage reluctant readers. Take weekly trips to the library. Check out non-fiction books that relate to fiction books you are reading. Get your child his own library card and help him come up with a system to keep track of books and their due dates. Enjoy poetry. Explore rhyme, structure, and technique, but don't quiz your child or dissect the poems. Write poems and share them at a family poetry reading. Take turns reading poems from a book, or recite poems from memory. Write favorites in a book and illustrate them. Read the newspaper. Discuss advertisements and examine stories for bias. Read Dear Abby and Ms. Manners and construct your own responses. Do word finds and crossword puzzles, or collect comics. Show your child how to read signs, rules, directions, classified ads, schedules, receipts, sales papers, recipes, phone books, bills and applications. This is known as functional reading. I knew my son was a reader when we drove over a bridge last summer, and he said, "Dad, watch for ice!" Enjoy books on tape. Listen while carschooling or working puzzles and other quiet activities. Let your child listen as he reads along in a book. Make your own tapes or have your child make tapes of himself reading. Avoid commercial books based on popular cartoon and television characters when choosing homeschool reading materials. Instead, choose fiction and non fiction books on a variety of subjects that appeal to all ages, stimulate the mind and model positive character traits. For more information on finding good homeschooling books for your family, read Honey for a Child's Heart by Gladys Hunt and Books Children Love by Elizabeth Laraway Wilson and Susan Schaeffer Macaulay. Black Books Galore!, by Donna Rand, Toni Trent Parker, and Sheila Foster, is a great resource for finding books that feature African-American characters. Every Good Book is a website run by a homeschool family that allows you to search for books by level, topic or historical period. 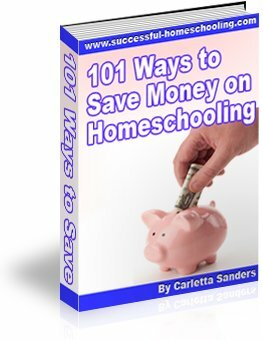 If your family is on a tight budget, here are some places where you can purchase discount homeschool books.